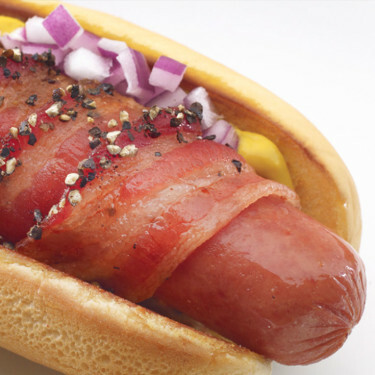 Two of our favorites, Kunzler Authentic Selects Pepper Bacon and Kunzler Original Franks, combined to make a bite you will never forget. Wrap bacon around each hot dog, securing each with toothpicks. Cook in a skillet on medium-high heat until bacon is desired crispness. 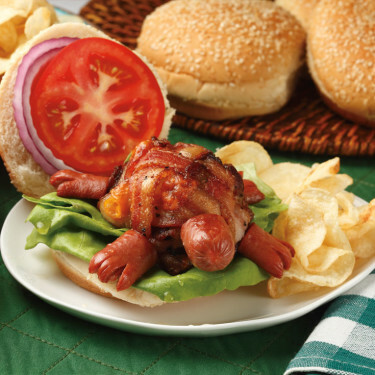 Place each hot dog in a bun. Garnish with onion and mustard.